With natural beauty and plenty of kid-friendly options, it’s no surprise Alamosa is the perfect spot for a family vacation. 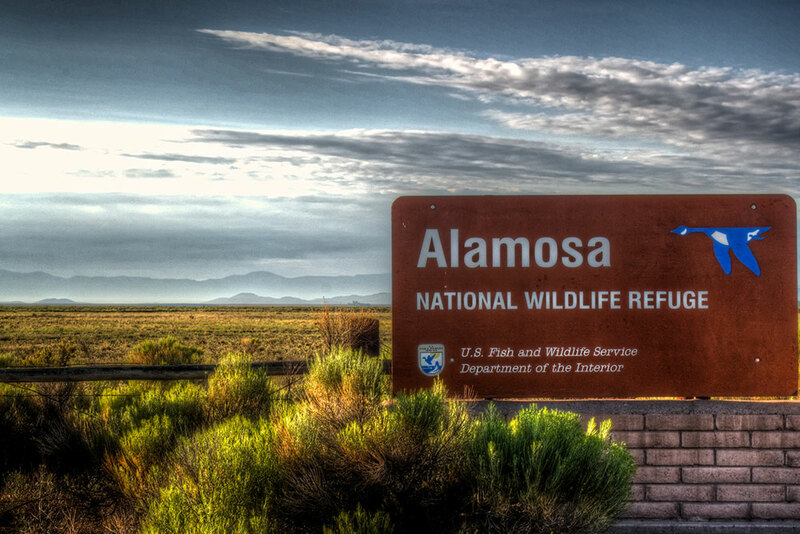 Located roughly four hours southwest of Denver, Alamosa is a true getaway spot. 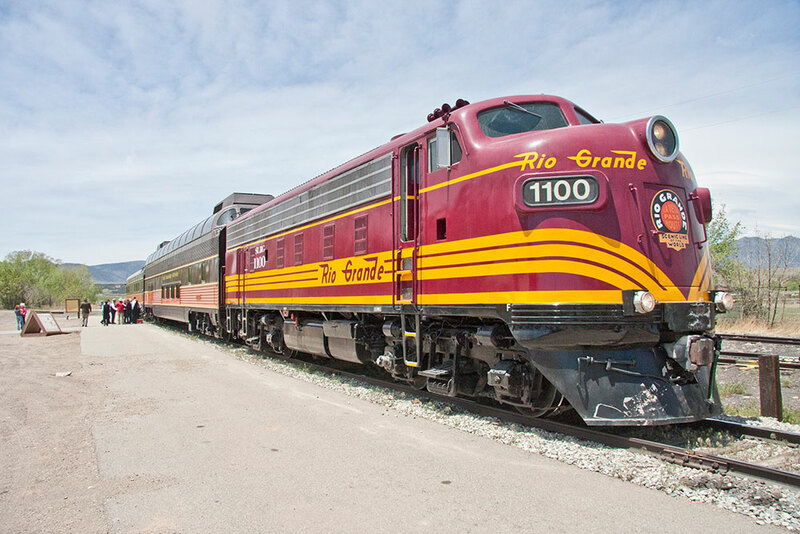 You’ve probably heard of the Great Sand Dunes, but have you visited Zapata Falls or taken a daytrip on a historic train? 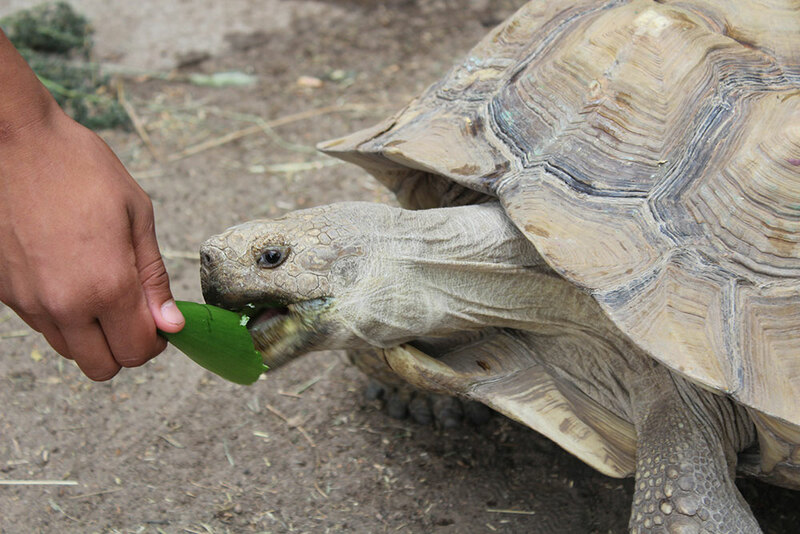 Here’s how to make a trip to Alamosa your most fun adventure with the fam yet. 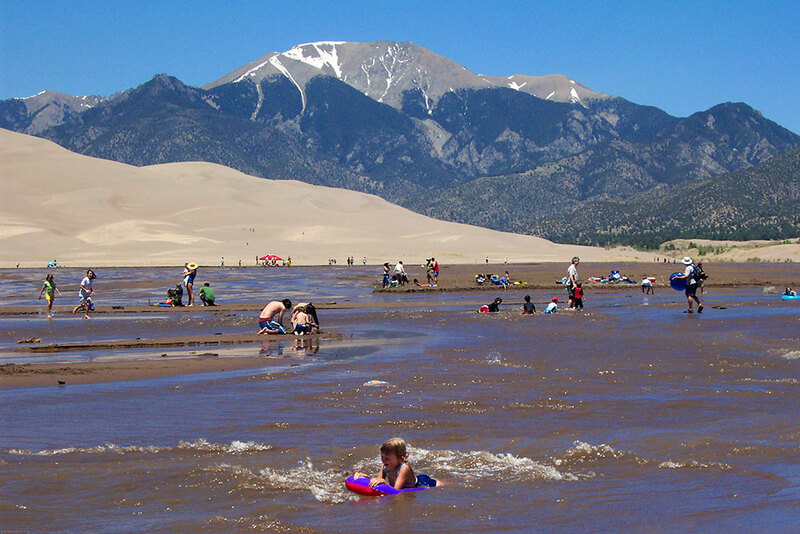 Great Sand Dunes National Park and Preserve is the crown jewel of Alamosa’s attractions. Kiddos will love sledding down the naturally occurring sand dune, or, in the spring and early summer, wading through Medano Creek to cool off. The park is open 24 hours, seven days a week and each season offers something different for the whole family, whether it’s hiking the Star Dune — the tallest dune in North America — sandboarding (rent one at the Oasis Store outside the park entrance or at Kristi Mountain Sports in Alamosa) and more. Kids can also participate in the Junior Ranger program, where they complete a workbook to receive a badge. After an exciting morning at the dunes, drive over to Zapata Falls to slow down your pace. Hike just a half-mile from the parking lot, where upon reaching the falls you can cool off and the kids can frolic in the water while you relax. Plan to bring a picnic to lay out and spend the afternoon with the falls as your soundtrack. 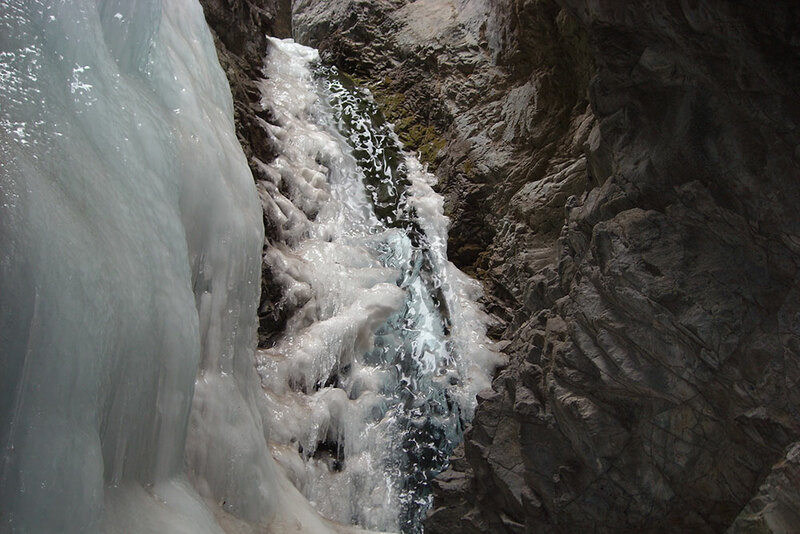 You can access Zapata Falls from Highway 150; they are 12 miles north of the intersection with Highway 160. 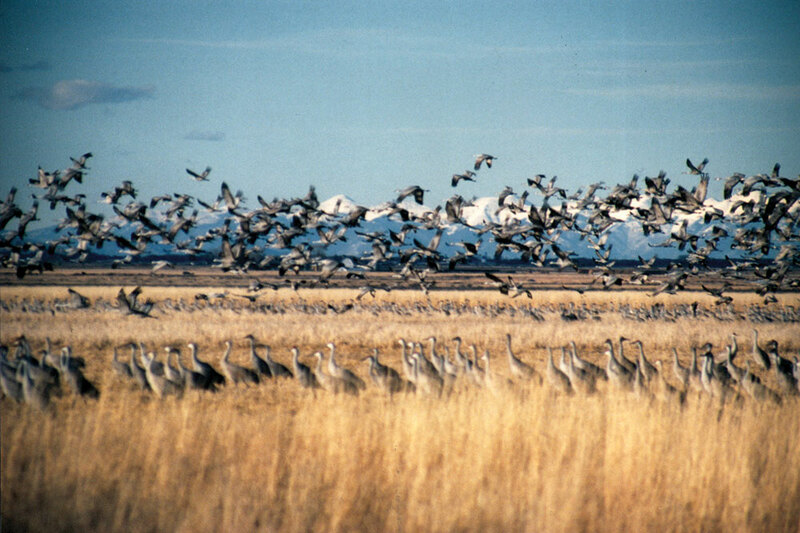 Alamosa National Wildlife Refuge is home to plenty of hiking and some hunting, in certain areas. The whole family can play “I Spy” while searching the landscape for migratory birds such as Lewis’ woodpecker, the willow flycatcher and the yellow-billed cuckoo. Make sure to walk the Rio Grande River Trail to see habitats, grasses and cottonwood groves. 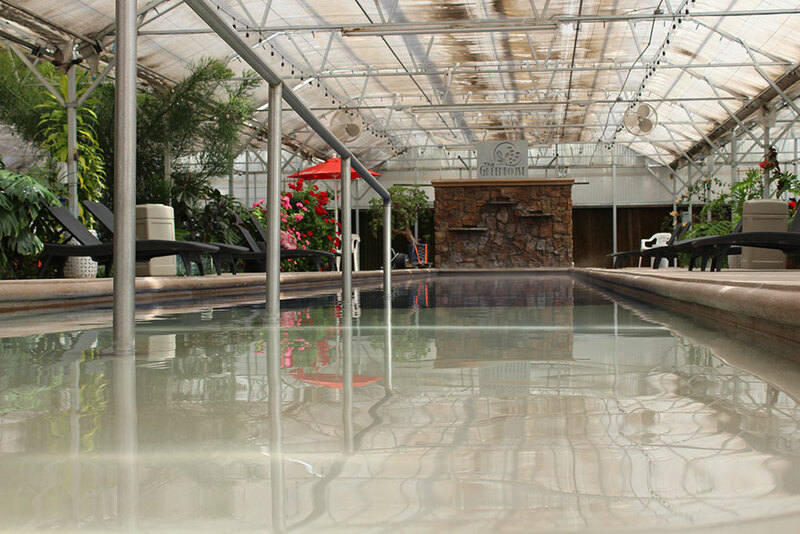 Sip an adult beverage in the 70-degree, 10,000-square-foot tropical oasis of the adults-only greenhouse while the kids splash around in the family-friendly pool of Sand Dunes Recreation. The Greenhouse is a 21+ area, so feel free to lounge and escape for a bit. Want to take an aqua-yoga class or maybe brush up on your swimming skills? The center offers classes in both. Take the 4-mile drive, stop to walk trails and take in nature at the Monte Vista National Wildlife Refuge. Be sure to grab a “Let’s Go Outside” backpack at the visitor center to entertain the kids. Each pack is full of activities for them to learn about the migratory birds and other wildlife that call the park home. If you’re visiting in March, go to the Monte Vista Crane Festival to celebrate the birds through lectures, workshops and a craft fair. Alamosa is full of restaurants perfect for family meals. Begin your day with breakfast at Campus Cafe — their giant cinnamon rolls will be the talk of your family for years to come. Smaller ones will also enjoy mouse-faced pancakes while adults can get a much-needed cup of coffee. 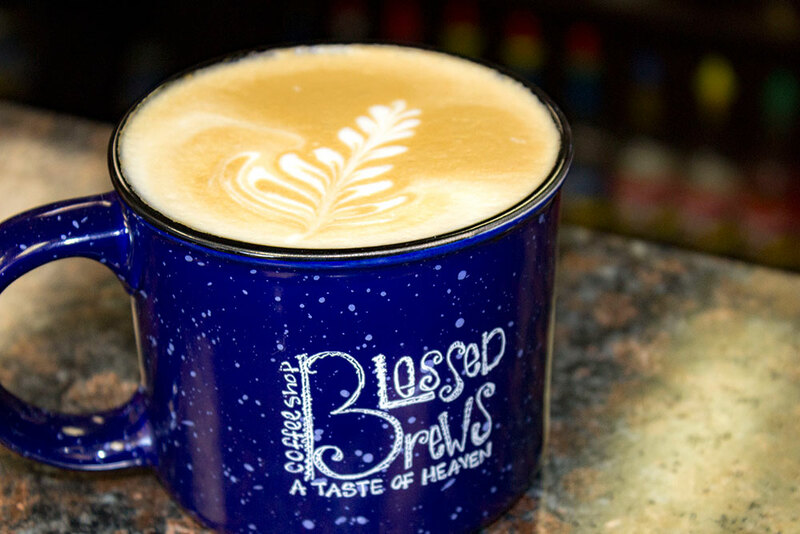 If you’re looking for something a little healthier, grab a smoothie from Blessed Brews Coffee Shop. They also have Kid Kremes and baked goods. For a snack between museums or as a pick-me-up after a hike, grab a cookie or cupcake from Nestle Toll House Cafe. Don’t miss dinner at San Luis Valley Pizza Company, where games for the kids, pizzas to share and happy hour prices will leave your brood (and wallet) happy. 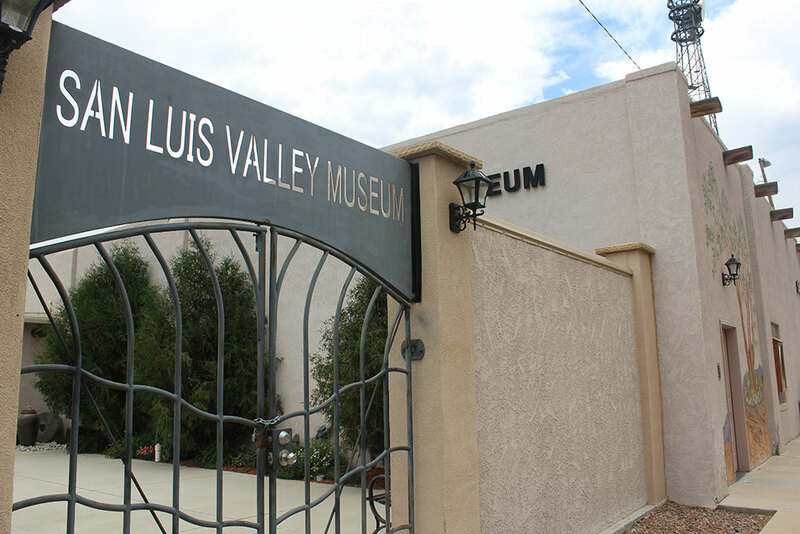 Take a break from the great outdoors by museum hopping through the valley. Begin your day at the Luther Bean Museum, with its stunning mural and cowboy art. Learn about the history of the area from the first settlers to frontiersmen at the San Luis Valley History Museum. Your kids will enjoy seeing early Native American snow shoes, clothes and tools. Lastly, drive to Fort Garland for the Fort Garland Museum, where kids can run through the fort and play like they’re back in the Old West. A visit to the San Luis Valley wouldn’t be complete without a family trip to the theater. 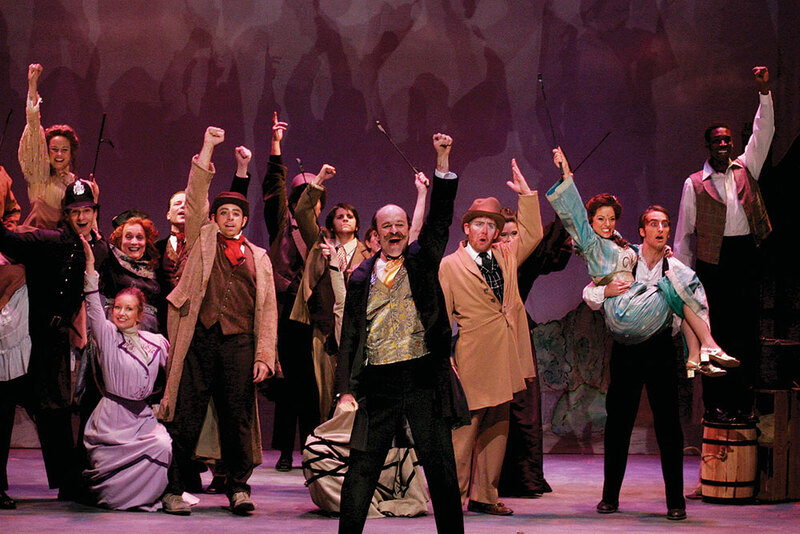 Your kids will glean inspiration from a night at the Creede Repertory Theatre, which stages plays such as “The Wizard of Oz” and hosts the KID show — completely put on by kids — from the end of May through September each year. If they aren’t showing a family-friendly option, go on a backstage tour where your little ones can see how the plays happen. All of the children’s shows are G-rated and some of them are even free.